Marie graduated from PSU in 2018 with a degree in Mid-Level 4-8 English Education. She currently works in the Souderton Area School District as a 7th grade English Language Arts teacher. Marie was heavily involved at Penn State, serving as the Vice President of the College of Education Student Council, President of the Mortar Board Senior Honor Society, Alternative Fundraising Chair for Springfield and Lion Scout Tour Guide. All of these organizations and leadership positions helped her become the confident leader that her students look up to everyday. Caitlin graduated from PSU in 2018 with a degree in Education and Public Policy and Education Theory. She is currently pursuing a Masters in Education Theory and Policy and working for the Eastern PA Chapter of the Leukemia & Lymphoma Society in the Student Series, which is a program that focuses on school fundraisers. 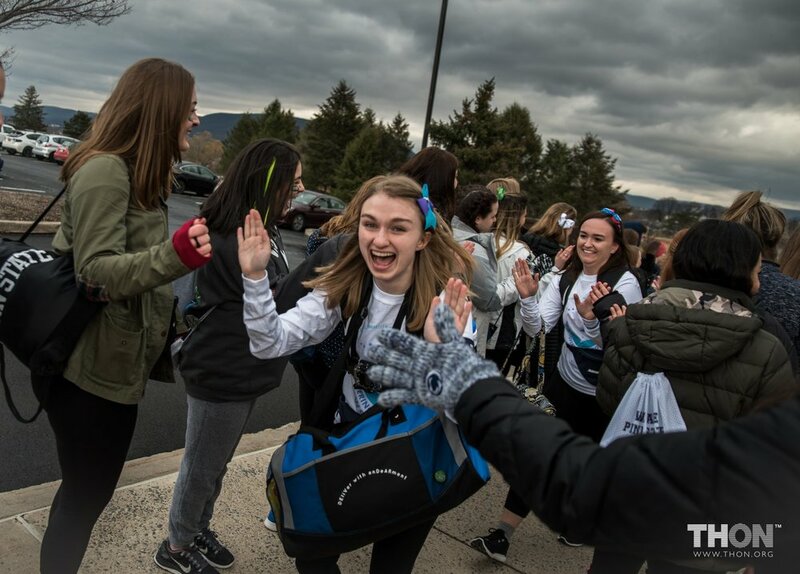 As the Outreach Account Lead she recruits and guides schools through the fundraising process in Montgomery, Berks, Bucks and Chester county region. She also does fun things, like run assemblies for elementary students! THON was a massive inspiration for Caitlin to join the nonprofit sector. She also interned with the Penn State Division of Development and Alumni Relations in the Schreyer Honors College for the entirety of her senior year. This internship gave her experience and familiarity with fundraising in a professional setting. Rachel graduated from PSU in 2017 with a degree in secondary mathematics education. She is now a high school math teacher in Montgomery County, MD as well as a private SAT/ACT math tutor.